The Rhinoceros Theater Festival is billed as "Chicago's longest running fringe festival," but last year's edition took a different tack from the 27 before it. Or seemed to, anyway. 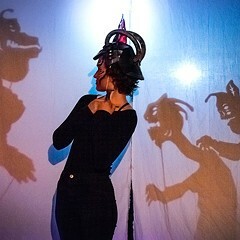 Where its predecessors appeared to follow the familiar fringe-fest pattern of ignoring patterns, the 2016 fest had a clear curatorial concept: Coartistic directors Beau O'Reilly and Jenny Magnus shaped it around Rhinoceros, the black comedy by Eugene Ionesco that, interestingly enough, didn't inspire Rhinofest's name. (Salvador Dalí's rhinos did.) 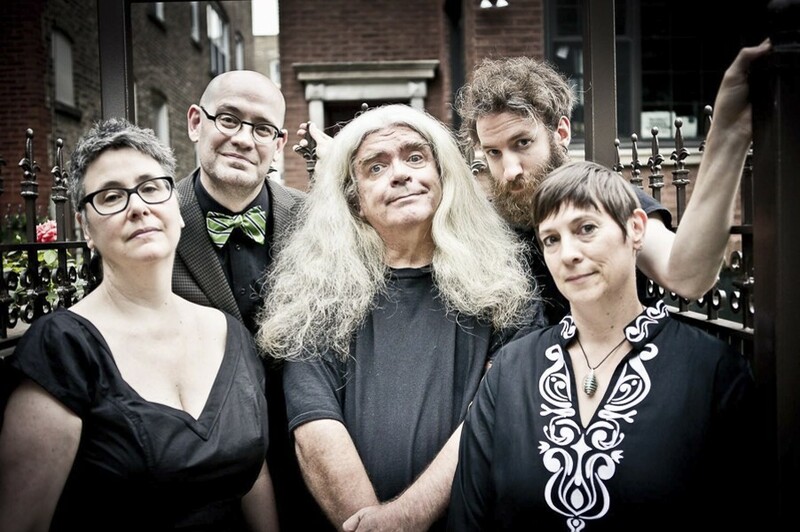 Magnus and O'Reilly's own company, Curious Theatre Branch, staged Ionesco's tale of townsfolk transformed into odd-toed ungulates, and other artists contributed work that riffed on its themes. In my review I wondered whether the thing they ended up with, interesting as it was, could still be called a fringe fest. O'Reilly e-mailed me in response, with some surprising news: the other Rhinofests had been curated too. He and his compadres had always worked, he wrote in his ellipsis-loving style, to "strike a balance . . . between veterans and newcomers . . . between those with a draw and those with out a draw . . . between large show and small ensembles." 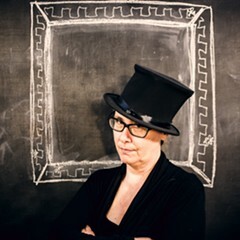 In other words, if fringe festivals are defined by a high degree of randomness as to who gets to perform—and many are, including the mother of them all, the Edinburgh Festival Fringe—then Rhinofest was never really one in the first place. So what is it then? O'Reilly (who also said Rhinofest's coproducing companies, Curious and Prop Thtr, "re emphasized the open submission" for 2017) wrote that "priority is given to new work, new scripts, [and] the other major factor is that a show has to fit the festival format . . . ie, short runs, low tech needs." Does that make Rhinofest Chicago's longest-running new play festival? Or maybe our longest-running DIY performance expo? Having spent the last few days watching nine of this year's 29 entries, I've got a suggestion. Let's call it an annual tribal convocation. A sort of Grabowski Burning Man. Because there's no doubt but that the whole event is suffused with a sense of community. There are second-, third-, and (if you count a short film called This Is a Movie of a Report I Am Making to the 3rd Grade) fourth-generation Rhino bloodlines in evidence here. Some of the more experimental local storefront luminaries lend their creativity and support. Even the relative newcomers come attended by their followers. This is one of those events where audience members don't necessarily stand up and leave when the show's over: everybody's waiting for the actors to come out and say hi. Of course, you don't have to be anybody's pal to attend. Out of those first nine (I'll be reviewing more next week), I'd above all recommend staying up late for Hatchet Lady (Sat 10:30 PM), Savannah Reich's funny, punky, wild, yet sly play about a biographer having a breakdown as she tries to finish her book on bar-busting temperance fanatic Carrie Nation. Directed by Olivia Lilley for Runaways Lab Theatre, the show features a band, dancing angels, interviews with the dead, Carly Wicks running from roaring to nearly comatose as both Nation and the biographer, and the quietly hilarious Jasmine Henri Jordan as a publisher's intern. The Hawkeye Plainview production of Disney Pixar Beers (Mon 9 PM), starring playwright Rory Jobst as Bud the beer, who—awfully like Woody the cowboy in Toy Story—has to deal with the developing maturity of Mark, the human BFF with whom he used to have such great times. Michael Martin's intentionally digressive, train-wreck fascinating performance piece Martin on Hinckley on Foster: The Home Visit (Fri 9 PM), in which the artist imagines himself in conversation with would-be presidential assassin John Hinckley—an exercise that yields sometimes facile, sometimes profound meditations on pop America. You're His Child (Sat 9 PM), a tender family chronicle done solo by Emmy Bean, focusing on her gospel-singing great-grandfather, Henry, and appealing mainly for the opportunities it provides to hear Emmy sing. A couple Rhinofest stalwarts have contributed dignified near misses. One such is On Loss (Sat 7 PM), a new play cycle by Mark Chrisler, comprising nine brief vignettes that explore the confluence of dark—sometimes very dark—clouds and their freakish silver linings. Individual bits can be amusing, bleak, or both. But given their dependence on contrivance, they can't do much more in the end than convey a mood of mild, O. Henry-esque irony. Similarly, Last Week (Sun 2 PM), Beau O'Reilly's look at Chicagoans coping with police violence, attempts to build power and momentum over the course of many quick scenes. Those scenes are so uneven, though, that escape velocity is never achieved. While O'Reilly is great at sketching personalities (among them a cranky old neighborhood guy man named Mookie, wonderfully played by Stefan Brün), his bouts of righteous wrath come off as pro forma. Two plays by Dan Mozurkewich present us with a pair of misfit saviors.